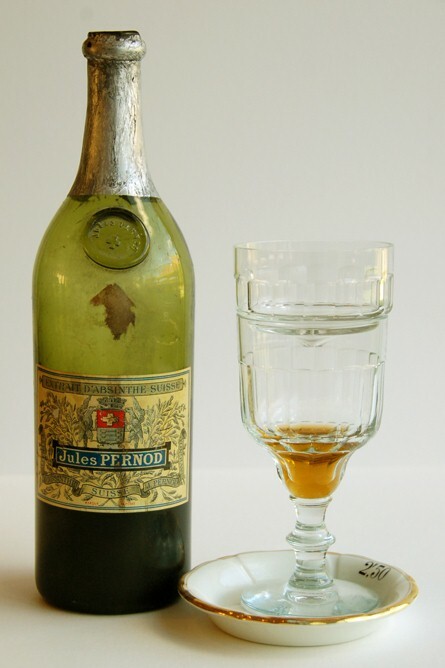 Jules Pernod - a large distillery located in Avignon down in southern France of course made an absinthe bearing that same name. 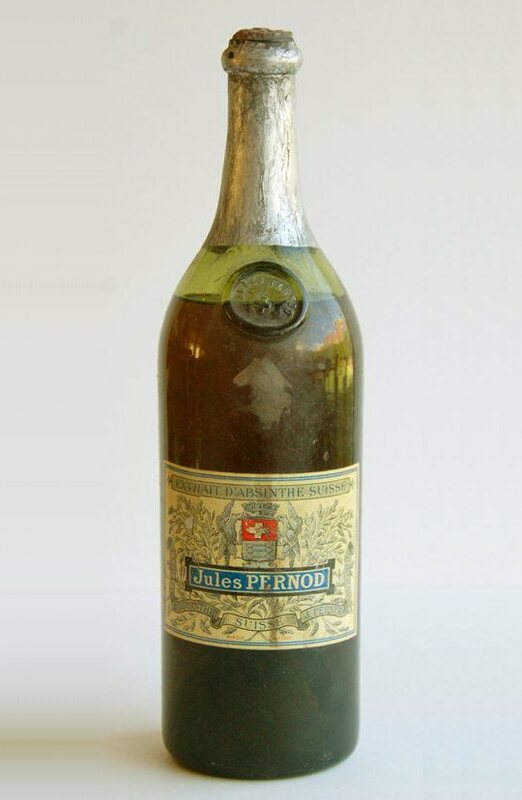 Not only the name was a competitor to the well known Pernod Fils and Edouard Pernod but also the quality of the drink. The sample I had was a perfect Feuille Morte color with slight hints of green and in all aspects perfect for a pre-ban absinthe. Once in the glass there's a fine smooth floral aroma slowly filling the room, it's the aroma of fine green anise mixed with wormwood and a slight touch of Coriander and what I believe is Angelica. Gently pouring ice cold water into it results in a thick creamy perfectly opaque louche and the color presents hints of peachy amber. The aroma is still as intriguing and the green anise and wormwood is very fruity on the nose. 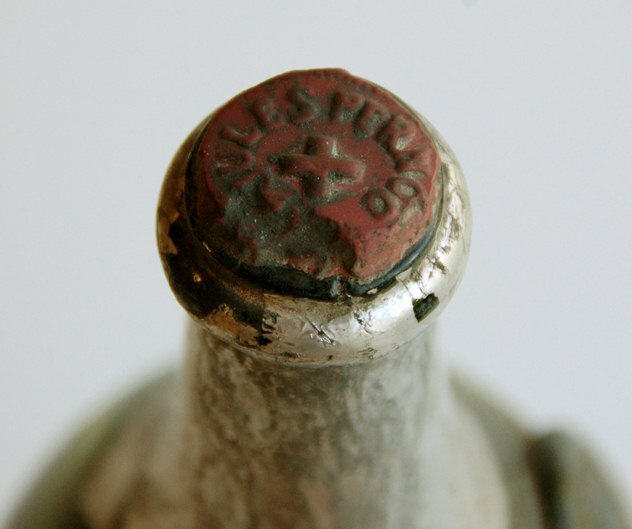 The thick and creamy louche carries over in the mouth-feel which is also very rich and creamy. 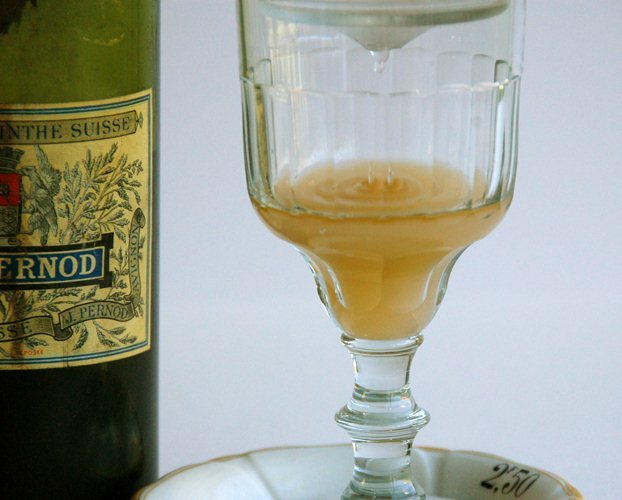 It lingers on the tongue and even though it's clearly a complex absinthe its mouth-feel is refreshingly light. The light and refreshing character moves on to the taste as well and I'm actually taken by surprise how light it is. Not in a bad way, but rather that the complexity is so well balanced and the fruity, fragrant herbs makes it so easily enjoyable. 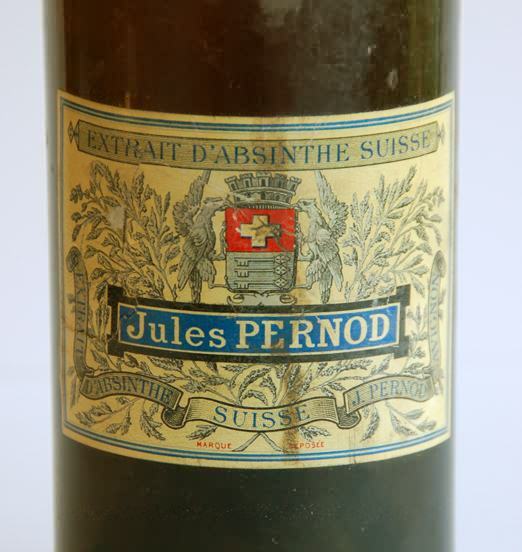 I must say that I've had a couple of other pre-ban absinthes that have been better than this, but it certainly is an amazing absinthe and I can see how this would be one of the top 20 absinthes on the market in its day. It is without a doubt a serious competitor to the top brands and if I had the option, I'd most definitely reach for this one quite often.